Although Morgan O'Brien began his career as a lawyer with the FCC's Mobile Services Division, where he assisted in establishing the rules and procedures for all land mobile services, he is best known for his work with Nextel Communications. As the co-founder of Nextel, O'Brien is credited with building the company into a multibillion-dollar national wireless carrier that catered to public safety, enterprise and blue-collar workers. 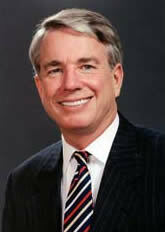 O'Brien served as Nextel's chairman from 1987 to 1995 and vice-chairman until its merger with Sprint in 2005. Today O'Brien is the co-founder and CEO of Cyren Call. The company serves as the adviser to the Public Safety Spectrum Trust.